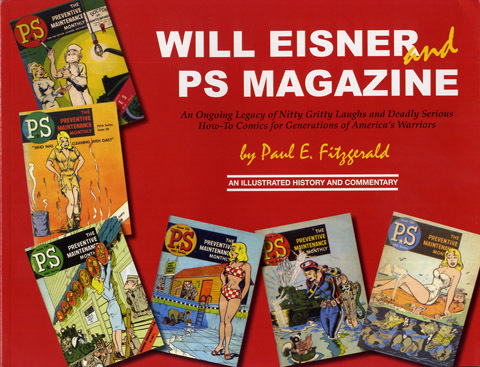 A limited edition softcover by Paul E. Fitzgerald, who worked with Eisner for many years on the Army's PS, The Preventative Maintenance Monthly magazine. Profusely illustrated and with information and interviews with Joe Kubert, Murphy Anderson, Mike Ploog and Eisner himself, this book is a must-read for any fan of the comics master and an important record of his contribution to Army life and educational comics. Visit the official site for more information and ordering details.